Zoie Calora (Catlin Gable School) & Calvin Chang (Forest Park Elem.) with 4 points. Praveer Sharan (Oak Creek Elem.) with a perfect 5 points. Followed by 5 players with 4 points. Rohan Bhatt (Stoller Middle School) with a perfect 5 points. Pranav Sharan (Lake Oswego HS) with a perfect 5 points. Followed by 4 players with 4 points. Alexandra Botez (Clackamas HS) – a perfect 5 points. First place team trophies went to Catlin Gable, Alliance Charter Academy, and Clackamas HS, followed by second place winners Happy Valley Elem., Athey Creek MS, and Lake Oswego HS. 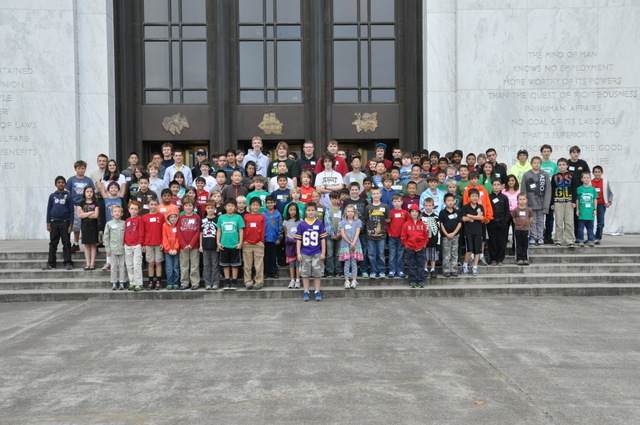 Clackamas High School Chess Club hopes to make this an annual event — we hope they do! The results from All-Stars have been reported to the USCF, and are available online here. The results have also been reported to the NWSRS and are available here. Thanks to the quick work of our head TD, Roza Kotlyar, for getting those results in so quickly! To our section winners, congratulations, and checks are going out in the mail early in the week of October 22. Our photos will be available online soon. If anyone has photos of their own that they would like to share, please let us know at admin@oscf.org. We particularly need photos of the events and kids in hearing room E (Rising stars J & K) and Room 350 (Super Stars)! Thanks again to all who attended and assisted. We hope everyone had a good time (win or lose). Clackamas High School will host the first big Portland-area school-based tournament of the year this coming Saturday, October 20. Organizer and Clackamas HS Coach Ed Addis has gathered not merely trophies and plus-score prizes for this OSCF-State qualifier event, but has a variety of interesting gifts and gift cards from local businesses and supporters. Regular registration of $25 (there’s also a sibling discount) is available through Tuesday evening by emailing Ed. There’s more information available on the tournament’s NWSRS Calendar entry (click here, then on the tournament name on 10/20) — that information is also reproduced after the break. 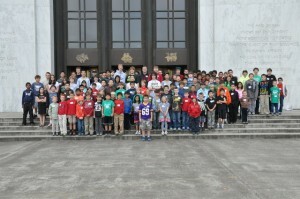 Congratulations to all the attendees at the 2012 All-Stars Tournament, which was held at the State Capitol in Salem on October 12. More details, and photos, to come, but in the meantime, Thank You to our many volunteers throughout the day. In particular, thanks to the room TDs Ed Addis, Max Booth, Dan Dalthorp, Katrina Halverson, and April Lutz who served as a constant and welcome presence in our playing rooms as the OSCF board members helped fulfill other duties. And thank you to all of the players, parents, and coaches that helped make it a successful day. More soon.